Turmeric is a member of the ginger family. Turmeric Fingers are bright yellow in color and a little pinch of Turmeric Finger can make a dish come alive. The Turmeric Fingers offered by us are pungent and been used as a spice in cooking for centuries. Turmeric Finger offered by us is of premium quality and has been one of the key ingredients for manufacturing of various dyes. 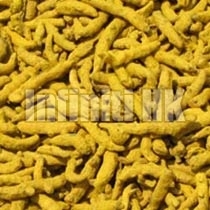 Customers can avail Turmeric Finger from us at market leading prices.